Today I’m going to discuss a useful and interesting topic for you. This is all about a “Spinning Rod. I think most of us enjoy angling or fishing very much in our leisure time. It can be one of the best hobby or pastime for us. To make this hobby more enjoyable and effective, we need to have an overall idea of it and its tools. Spinning rods and reels are the most important tools for effective angling. These tools are obligatory for fishing in plenty. So if you follow this article, I think you will get an overall idea of these tools which will help you angling in an easy and effective way. A “Spinning Rod” is a long flexible rod is using for catching fish. Usually, a fishing rod is a simple stick or pole attached to a line ending in a hook (formerly known as an angle). 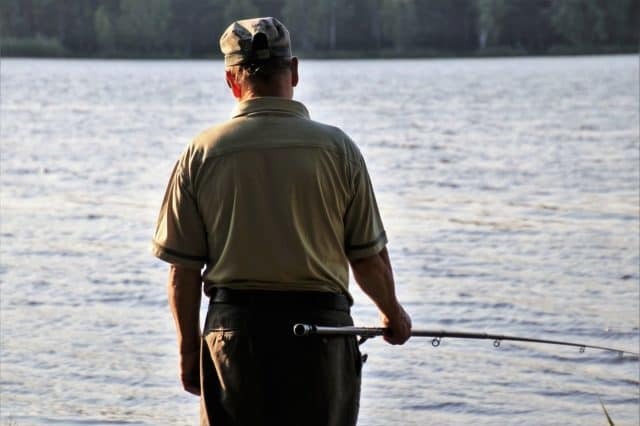 For this reason, fishing or spinning is also referring to as the term Angling. The types of spinning rods vary in specific designs made for specific types of fishing. Top global brands of the world’s best spinning rods include – Daiwa, Okuma, St. Croix, G. Loomis, and Shakespeare. Graphite or fiberglass is the material of these rods. These rods consist of corks or PVC foam handles. The rod is about 2 to 20 feet (0.61m to 6.10m) long. Generally, spinning rods have 5-8 guides arranged under the rod to control the line. These types of rods are making in such a way of spinning reels. 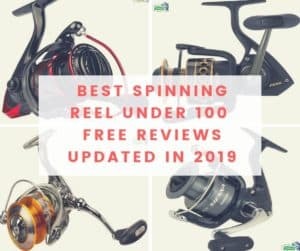 The spinning reels also refer to as open-faced or fixed-spool reels, mount under the spinning rods, have fixed reel seats or sliding rings on the handle. The spinning reel is different from others as a feature. there is underneath the rod in the angler’s hand during fishing. Traditionally, bamboo is using for making these rods. with rod blanks that can bend or flex in all directions. From different views, contemporary spinning rods are usually making by from fiberglass or carbon fiber. The quality meets the value in Shakespeare Excursion rods and these are perfect for a variety of species. These rods are very popular in the USA for fishing. A variety of crisp actions are great. Stainless steel is the main material of guides. For making it the highest quality materials. This rod has a hybrid design construction which provides un-matched sensitivity with the security of systematic handle construction. In this rod, the SS304 Guides are 20x tougher and 55% lighter than the traditional aluminum oxide guides. This is a really awesome guide. The cork handle design of this spinning rod gives comfort and grip. It’s completely perfect to help anglers catch more fishes. So it’s the most trusted name in all fishing gear. It’s also very reasonable in price. Spinning model and four-piece 13’ rod. It includes spare rubber cap on poles. It has a line keeper and fluorescent colored tip. There are perfect actions for bream and crappie. It’s also very reasonable in price. To lure fish, bait or lures are pierced on one or more hooks attached to the line of a rod. The line is usually used on a spinning reel that can reduce tangle and helps with the landing of a fish easily. 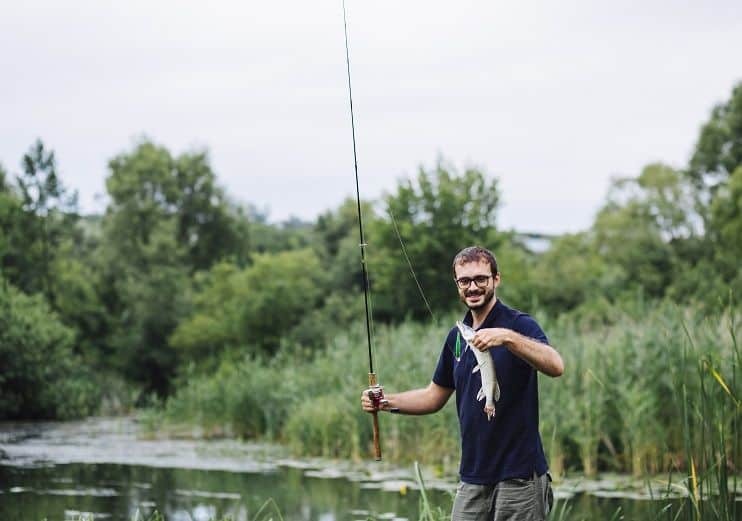 Spinning rods are mostly suitable for casting the light lure and terminal tackle because the way of the line coming off the reels into guides is designed specifically for the spinning rods. The nearest guides to the reel seat have large openings and long stems which helps the guides to stand well away from the blank so that it can match the long stems of spinning reels. Spinning rod guides become gradually smaller in size away from the reel seat. It allows the line to disentangle from the reel and be funneled into the guides. The funneling of this line creates friction against the guides and it can affect casting distances for heavier lures and terminal tackle. On the contrary, bait casting rods are making to feed the line straight off the bait casting spool. This creates very little or almost no friction against the guides. Baitcasting reels give resistance to light presentations to pull the spool around during the cast. But this is not the case with spinning reels. Spinning rods and reels are widely used in angling in the USA (mostly in fishing of North American sports fishes such as – Bass, Trout, Pike, and Walleye). Longer spinning rods along with longer grip handles for two-handed casting are mostly used for saltwater or steelhead spinning and salmon fishing. It was an overall idea on Spinning Rods in short. Spinning rods are very popular in Europe and America for angling. These are also widely favorite for trolling and still fishing with live bait. You can use it for almost all kinds of fishing methods. So it’s one of the most useful and effective fishing tools. I think this article will help you with choosing one of the best spinning rods. If you get advantages from this article, that will be my pleasure and I will get more spirit to write more about this and other topics. So, Please express your opinion through comments and give me more suggestion about how to improve my writing for you and according to your interest. Thanks and regards.